Random Hacks of Kindness is a community of innovation focused on developing practical open source solutions to humanitarian aid, climate change adaptation and disaster risk reduction. This is about technology helping people. On June 4th and 5th, Google, Microsoft, Yahoo!, NASA, HP and the World Bank, through their initiative Random Hacks of Kindness (RHoK), will bring together thousands of people in over 18 locations around the globe to create open solutions that can save lives and alleviate suffering. RHoK 3.0 will focus on the issue of climate change. We’re hoping that this year, RHoK 3.0 Toronto is just as successful as our inaugural RHoK 2.0 in December. Over 50 hackers, citizens, designers, writers, researchers and open data enthusiasts came out in Toronto and joined 1000 others, collaborating with RHoK events in 21 cities and Open Data Hackathon Day events in 73 cities, all around the world. We could not have done this without the generous support of our sponsors. Last year, sponsors donated space, food, tools, services and funds which helped make the event a success. Help Feed RHoK Hackers and give them prizes. RHoK Toronto 3.0 is a Satellite event for the RHoK global event. We are responsible to drum up local sponsorship support for food and prizes. This time, we are looking for sponsorship for a pre-event reception, to provide meals or funding for meals to participants and prizes for the top 3 innovative solutions or ‘hacks’. Showcase your logo internationally on the RHoK global website. Mention you in the media and press releases for the Toronto event. Provide you with space at the event for your pamphlets or promotional materials. Offer recruitment opportunities through our job board and your presence at the event. Please let me or our contacts know if you have any questions or suggestions. Any donated funds will be used for food and prizes. Any funds that we do not use will be given to the Red Cross. RHoK global requires that we provide full disclosure on accounting for events. We will happily do so. The Donation button is on Brian Chick’s Left Button Solutions business account. Brian is a core volunteer for this event. Volunteering is a gift. For the past year, I have been part of the CrisisCommons – Global Core Team as the co-lead of the Community Working Group. We grew the community from US, Canada, UK and New Zealand to other events and volunteers in Australia, France, Thailand, Belgium and others. I volunteered on efforts for Haiti, Chile, Pakistan, New Zealand and Japan. I contributed to the writing of the content for the CrisisCommons Sloan Foundation Grant, especially the city and project profiles. 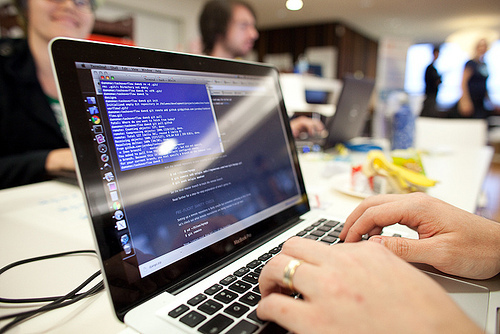 A number of reports about Volunteer Technical Communities have been released in the past weeks. They really speak volumes about how each individual volunteer and group changed the world. I am proud to be part of all these movements. We are friends and partners in leadership and volunteerism. Morning everyone, Hope your weekend was grand. For the past year, I’ve been your CrisisCommons Global – Community Working Group co-lead. And, what an adventure it has been. I will be stepping down from this volunteer role effective April 4, 2011. With this change, I will transition my responsibilies to Chad Cataccchio, who is a co-lead of this group. He sent a call to action for the Community Working Group yesterday. One of the big lessons learned about CrisisCamps is preparedness. I believe in this community and will continue to volunteer as the CrisisCommons/CrisisCamp Canada lead and CrisisCamp Toronto lead. I am honoured and proud to have volunteered in this role. I will continue to play a part within the global community when and where I can. Grow CrisisCamp Toronto and in Canada as well as support CrisisCommons global when I can. Continued involvement in the Missing Persons Community of Interest Working Group, CrisisCommons. Organize and support Random Hacks of Kindness 3.0 for June 4/5, 2011. Mapping the world with Stand By Task Force and CrisisMappers communities. Fostering Mozilla Drumbeat projects. There is a real opportunity to connect Volunteer Technical Communities to projects within Drumbeat. 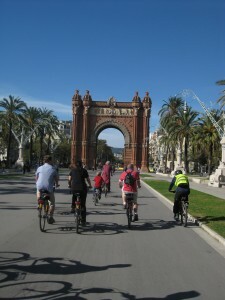 For example, P2PU.org, Webmademovies and Universalsubtitles.com offer resources which could assist these global communities. But, mainly I am fan focused on the existing projects supporting an Open Web. At Random Hacks of Kindness 2.0 (December 2010), volunteers from CrisisCamp TO, RHoK Seattle, Humanity Road, Sahana and OpenStreetMap joined to work on a project called: Populations Centers in Disaster. Each of our groups continue to commit time and knowledge to complete this project. Three days after the devastating quake struck Haiti, the towns of Jacmel and Leogane were still isolated — no communication or transportation — though we knew people were there: 128,000 in Leogane and 40,000 in Jacmel. A data query tool that identifies high concentrations of population may help volunteer technology communities with their communication efforts. A lack of communication inside a population zone points to a problem and the query tools being developed may help speed up and improve volunteer contributions to situational awareness. @Redcrossmom @CNN I know you have lots of crew on the ground in PAP but very little news is coming from outside of PAP – Jacmel & Leogane need help. (Twitter, January 15, 2010). At the onset of a disaster, time lost means lives lost. As virtual volunteers, Humanity Road’s first response step is to identify affected hospitals. In an event that impacts a large geographic area, we need to quickly triage the situation and determine which population centers are affected. Part of this decision process involves identifying areas of population concentrations. For this, we have been turning first to Wikipedia to identify and understand the local area. Using this approach to search for information is manual, time intensive and requires multiple keystrokes of the same type of information. Manual research of standard information means time lost and that equates to lives lost. We look for cities within range of the epicenter of the earthquake or event, populations of those cities, hospitals within the impacted area, GPS coordinates, and local government structures for towns, counties and districts. Sometimes the absence of news does not indicate the absence of need. We need a tool that would allow us to extract from Wikipedia into a Google Doc – the population centers for a defined area – such as City, District, Country. This would improve our volunteer response time. Humanity Road has previously worked with Sahana, Google, Gisli Olafsson and others to determine project needs. The RHoK problem descriptions submitted included an outline for a query tool that would return the population centers within a boundary. The bonus tool would return results of hospitals in an impacted area, including contact information and GPS. The RhoK Toronto team focused on the Hospital solution, while the Seattle team focused on the Population centers solution. 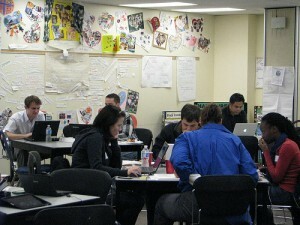 The teams collected the data into Google fusion tables. By the end of the weekend, they had collected and stored a significant amount data that will help in future events. Data will reside within Sahana Eden, and be exported (Google Fusion Doc) for directed use by Humanity Road. Google Fusion Doc may have data limit parameters. The tool will help non-super users volunteering for Resource Management. Final product will reside on the Sahana database accompanied by the capability to extract specific hospital datasets. The project needs presentation tools to help spontaneous volunteers work with the data. This includes criteria for data updates, to include the notes on impacts of infrastructure, operational impacts (damage, flood etc) of the hospitals query, developing the functional query for the populations center, and determining server space, and file formats for storing the data in open source format for all to access and use. 6. Pat: will start investigating the Final product- Sahana db, but with capability to have a hospital db can be pulled for a specifics. 7. Willow: Seattle team is on stand-by for the next steps. 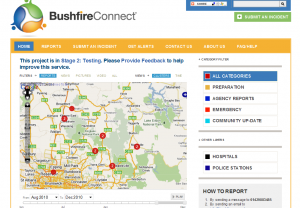 Bushfire Connect is a project to help Australians crowdsource reports about bushfires. The Australian bushfire season is during December and January. The Bushfire Connect team is monitoring the current bushfires on their Twitter account: @bushfireconnect. They need help testing their Ushahidi site. In June 2010 for Random Hacks of Kindness 1.0 in June 2010 (Sydney, Australia), I had the opportunity to meet these dedicated volunteers. The project continues to evolve and will be launching soon. Bushfire Connect is an online bushfire crisis service presenting real time information submitted by local community members and emergency agencies. Our goal is to establish a reliable, dynamic and timely resources for people in fire threatened or damaged areas to enhance and extend the utility of official data sources. The service has been developed using the ground-breaking Ushahidi platform, a geo-spatial communication system implemented after disasters in Haiti, Chile and, most recently, Pakistan. Establishing this tool here in Australia in preparation for the bushfire season has been the mission of a small team of volunteers from a range of backgrounds. Spatial information strategist, Maurits van der Llugt, teamed with online media producer, Keren Flavell, to initially kick start the project. Once it was worked on intensively at Random Hacks of Kindness, technical experts Daniela Fernandez and Anthony Joseph continued to work on the project. 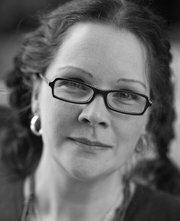 ICT strategist and Drumbeat Australia organiser, Vicky Pinpin-Feinstein, has joined the team as an advisor. The project took shape after the Random Hacks of Kindness event in Sydney, where the first installation was deployed. Since then, the project has continued to be refined to include features such as submitting reports by SMS and registering to receive alerts in specific geographic regions. We are in discussions with emergency agencies and media organisations about potential partnerships. A not-for-profit is being established to receive funds for further development and to keep the project independent from any single agency or organisation. Bushfire Connect needs to funding and partners in order to create a robust and effective tool for community driven crisis alerts during the bushfire season. We are looking to raise funds for the pilot testing and fire season preparation phases of development. The service is now ready for pilot testing by the community. We want to refining the user experience by reviewing icons and wording of the current site. There needs to be load testing of the servers and appropriate server enhancements to deal with high demand. We also need to build a volunteer moderation taskforce through recruitment and training. The Ushahidi blog featured their work in October. Wildfires, bushfires, and forest fires are a global problem. Using crowdsourcing, there is an opportunity to use technology to make a difference. What if all the lessons learned from each of these projects were used to build one simulator and one pattern for any country or region to use? I grew up in northern Canada where forest fires are a large problem. Learning about Bushfire Connect while attending RHoK 1.0 in Sydney and monitoring the Ushahidi work that the Russian wildfire team did inspires me. Someday we will bring this technology and crowdsourcing to the Canadian north. All we need is a mobile phone (SMS) plan, an Ushahidi server install and a team of people to work with Canadian authorities to make it happen. Random Hacks of Kindness (RHoK) 2.0 and the Open Data Hackathon Day (ODHD) was held December 4 – 5, 2010 in Toronto, Canada. It was our first Canadian RHoK. Toronto had 52 participants collaborated on eight projects. The RHoK team joined over 1000 participants in 20 cities while the ODHD team had participants in 73 cities. Team video presentations for the RHoKto/ODHD problem definitions . We were honoured to have Will Pate (World Bank), Joey deVilla (Microsoft Canada), Adam Thody (Architech Solutions), Stephanie Ashton-Smith (Plan Canada) and Ben Lucier (Tucows Inc.) join us as hackathon judges. Globalnews.ca joined us and wrote about the event. More Pictures by Ben Lucier and Cynthia Gould. The full Toronto project from the RHoK wiki. *UN Secretary General Ban-Ki Moon spoke a RHoK NYC and talked about the importance of open source communities collaborating with development groups. Our friends with CrisisCamp Paris created a complete RHoK2 social media stream. Architech Solutions, Camaraderie, CIRA, Global News, Hackto, Happy Worker, Idee Inc., Jonah Group, Left Button Solutions, MacQuarie Group, Microsoft Canada, Planet Geek, Remarkk, Syncapse, TechSoup Canada, Tucows Inc. , Unspace, and University of Toronto. Special note of thanks to all the amazing Core team members: Mark Kuznicki, Meghann Millard, Sandi Jones, David Desko, David Black, Brian Chick, Melanie Gorka, Leila Boujnane and Christine Crowley. It was an awesome pleasure to make this happen with each of your amazing talents. On the cusp of 2010, I told a dear friend that I needed a major change. I wanted to find meaningful work that combined my love of politics, history and technology with social good. My cousin Cori was home for the holidays. She was working in Dhaka (Bangladesh) teaching engineering, physics and music. Her journey to share her skills and make the world a better place inspired me to make a leap of some kind. My whole family has always volunteered locally and, sometimes, globally. My Mom and Dad are tireless supporters of their neighbours-always willing to deliver a pot of soup or be amazingly handy. My sister and brother-in-law are both long time volunteers and instill this value raising my nieces and nephew. Fast forward twelve days to the devastating earthquake in Haiti. Much like others, I watched the TV and twitter streams helplessly. My sister had volunteered in Haiti a few years ago and called me. As a medical professional she wanted to get on a plane to help. I wanted to do more but wasn’t sure how beyond donating money. At 21:30 ET I received a Facebook message from CrisisCamp DC inviting everyone to join a Global Conference call to discuss what technologists and crisis response partners could contribute. I joined the first conference call and everything changed. A similar life-changing path is a shared by many people involved in the various volunteer technology communities who responded. As one friend joked, she takes “map-cations” and I take “hack-cations”. We both spent most of 2010 vacations volunteering our skills for technology in crisis. Some people buy a car for their midlife crisis, I found my path. The CrisisCommons journey has introduced me to the converged world of technologists, emergency planners, crisis communicators, GIS mappers, and countless other skilled professionals answering the call. I’ve had the awesome pleasure to make the acquaintance of new people who share this vision. I’ve been to Washington (DC) (twice), Boston (MA), Sydney (Australia) and Barcelona (Spain) to learn, engage and collaborate. My job has changed too. Currently, I am on a short-term contract providing research and community-building for CrisisCommons. I don’t know if the contract will equate a full-time job. But, I do know that I am inspired. I also know that I will spend the rest of my life trying to figure out how technology can help during the whole emergency response cycle. Even if it is only as a volunteer, I am a believer. While our collective work might not change the world today, it will in time with perseverance and community efforts. We all have made a good start. In June 2010, I participated in Random Hacks of Kindness (RHoK) Sydney (Australia) and really wanted to bring the project home. Just this past weekend UN Secretary General Ban-Ki Moon spoke at the RHoK-New York opening gala. Respected world leaders get the power and shift of this movement. Is there anything more wonderful than the Secretary General of the UN giving a call to action citing the open source movement? The very next day I had the pleasure of kicking off Canada’s and Toronto’s first RHoK event. Techs really can make a difference with their keen problem-solving and innovation skills. Happily, I am a bridge to facilitate. It is the best gift to know oneself and determine your path(s) in life. (Well, besides landing a full-time job doing what I love.) I don’t know what will happen next Tuesday with our CrisisCommons proposal, but I am proud to part of this dream and help build it. What an amazing first day of Canada’s first Random Hacks of Kindness. 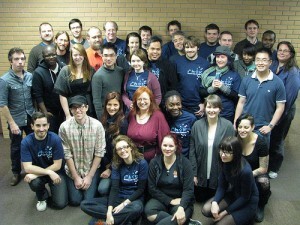 We had a great partnership with the Toronto’s Open Data Hackathon team. Amazing post from the RHoK team with Secretary General of the UN, Ban-Ki Moon, receiving his RHoK t-shirt. Blog post by Melanie Gorka: RHoKing out in Toronto. She provides highlights on the 7 projects that the ODHD and RHoK teams are collaborating on and captures the solid community vibe.